Numbers 11:5-6; 34 We remember the fish we ate in Egypt that cost nothing, the cucumbers, the melons, the leeks, the onions, and the garlic. But now our strength is dried up, and there is nothing at all but this manna to look at." vs 34 Therefore the name of that place was called Kibroth-hattaavah, because there they buried the people who had the craving. The Apostle Paul's admonition in 1 Corinthians 10:6 against desiring evil as they did, would seem to point to the obvious sins – lying, stealing, adultery, fornication, etc. – and following their deliverance from slavery, many of the children of Israel were certainly guilty of some of these. But this passage in Numbers describes a type of sin we don't normally consider: it was simply their desire for the foods they ate in Egypt. The daily supernatural provision of angel food (manna) for every meal had become tiresome and even loathsome to the Israelites. The memory of their tasty diet under slavery actually brought about a wave of weeping among the people as each man stood at the door of his tent representing his family which was "fed up" with God's Manna. Naturally speaking, it's not hard to sympathize with people who long to enjoy such healthy and tasty foods as fish, cucumbers, melons, leeks, onions, and garlic. Yet this complaint angered YHVH very much. Some may wonder at His anger, and judge it to be harsh and unreasonable. Shouldn't people be allowed to expect variety and taste in their diet? Yet the sin of discontent and complaining about God's provision and lusting after the food of their slavery ultimately brought severe judgment. Yes, the quail came in great abundance, [Numbers11:31-34], but with it, a severe plague which killed all who were convicted of greed, which the New Testament calls "idolatry" [Colossians 3:5]. The place where they were buried "Kibroth-hattaavah" translates to "the graves of greediness" or "the graves of lust". Can we be content with simplicity, and the repetitive sure provision of our Lord? Or will we complain in our lust for the pleasures of this world? The children of Israel were consumed by their lusts. Tasty food in and of itself is not evil. But greed and dissatisfaction are a great offense to the Lord, and a form of idolatry. 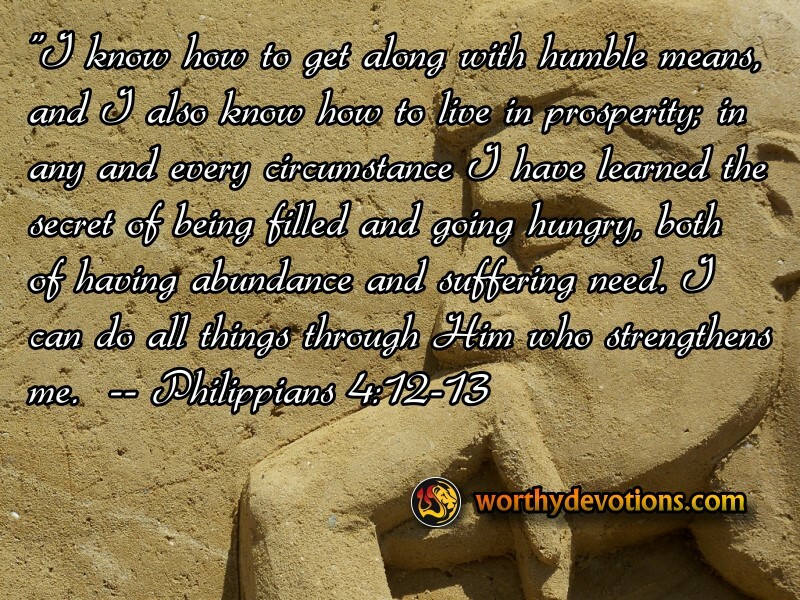 Paul spoke elsewhere, "I know how to get along with humble means, and I also know how to live in prosperity; in any and every circumstance I have learned the secret of being filled and going hungry, both of having abundance and suffering need. I can do all things through Him who strengthens me. [Philippians 4:12-13 NASB] This weekend, may we abide in a state of contentment, abundantly satisfied with the Lord Himself and His perfect provision, humble as it might be. We sent you another notification to resubscribe to our Worthy Briefs. It looks as if you unsubscribed by accident on June 28th.